Can you believe it; my parents have never tried a French macaron before. I am heading up to New Hampshire this weekend to celebrate my dad’s 65th birthday (with a birthday cake from Ron of course!) and I thought what a perfect opportunity to go over to our chef friend’s bakery, FPB. That’s the Francois Payard Bakery of course, they are neighbors with us here in Soho. If I am going to bring home French macarons, I am going to bring home the best. 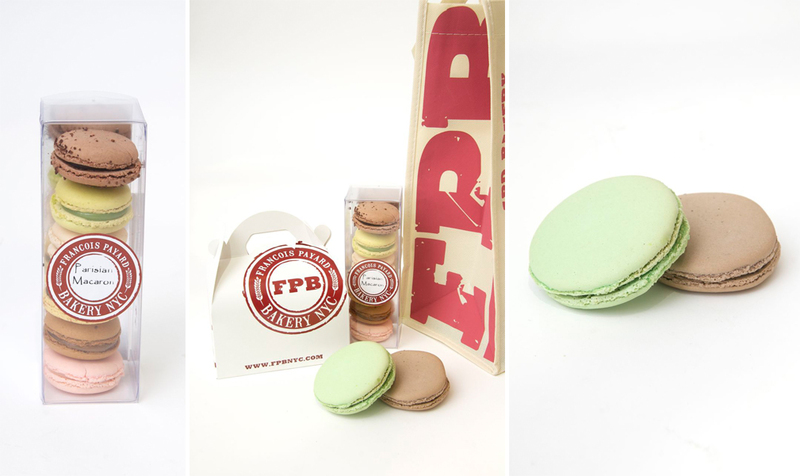 My delicious assortment of French macarons from François Payard's bakery FPB. If you are ever in NYC visit FPB on 116 West Houston Street. You will not be disappointed! A full staff is a happy staff! Thank you François for sending over all of the delicious treats. The staff loved it! François and Fernanda were married at One Woman Vineyards in Southold, NY.